Boxing: Heavyweight Poll – Who will one of the Klitschko’s lose to first? There are precious few negative descriptives left unemployed by those who try to define the current heavyweight scene. From the shallow to the lamentable, to the drab and forgettable the current crop of heavyweights and those still clinging to credibility from the last generation have largely all been exposed or dismantled at the hands of the Brothers Ukraine. Those thought to have the tools to upset their duopoly; Povetkin and Haye have proven lacking in the ability or willingness to execute the required strategy. So who will find a way to beat them? Such is their dominance; unqualified or unequipped challengers are now finding their way into the ring. Mormeck and Chisora, for all the latter’s competitiveness, barely boasted a record deserving of a shot at the title. All that said; the Klitschko’s are not unbeatable. And if we accept that; who is most likely to unseat either giant? Whether soon, or in 5 years time? Of the contenders; there are those for whom shots will need to come soon – Thompson for one, and other ageing big men like fringe contender Michael Grant or those with self-imposed deadlines like David Haye. 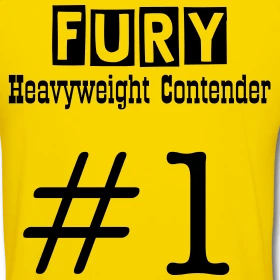 Youngsters like Tyson Fury, Denis Boytsov and other European fledglings like Edmund Gerber or Irish based Cuban Mike Perez have the luxury of time. Time which may enable them to peak as the two brothers grow close to retirement. Vitali is already 40 years old after all. We may yet see Cuban Oldanier Solis recuperate from the injury he suffered against Klitschko to build on the fleeting success he had with the left hook counter against Vitaly or Dereck Chisora develop against top 10 opponents to be a more seasoned opponent for either brother. His petulance ensuring any such fight will be a box-office attraction. Relative novice David Price is one fighter, like Finn Robert Helenius, who has the proportions to be a different type of challenge to the brothers – who typically enjoy huge physical advantages. But the former, just 12-0, has conceded he is 18-24 months away from being ready to face them despite several shifts providing Klitschko type sparring for the likes of David Haye. America will hope Tony Thompson can deliver on the confidence he’s gleaned from a good run of form, 5 stoppage wins, since losing to Wladimir in 2008 but will be more excited if Seth Johnson proves able to employ his aggression and ability at the highest level. Thompson is himself, 40 already. It is hard to construct a credible argument for the contenders listed below to beat the Klitschko’s – particularly given the massive advantages they also enjoy from fighting in front of large crowds in Germany. If any of these contenders is to topple either giant they will need to do it in front of 55,000 partisan supporters. But at some point in the few years – someone will do what Lamont Brewster did, or Corrie Sanders perhaps, and drill through the defences of Wladimir successfully or, in the case of Vitaly, force the veteran to fight at a pace he cannot sustain and reach the seemingly unreachable. His chin. For now, have some fun voting for the fighter you believe will be first to succeed. Whether that is soon, or at some distant point in the future.